shopsy has no other items for sale. Sales tax may apply when shipping to: AL(8.909%), AZ(8.17%), AR*(9.378%), CA(8.269%), CT*(6.35%), FL*(6.653%), GA*(6.962%), ID(6.0%), IL*(6.25%), IN*(7.0%), IA*, KS*(8.594%), KY(6.0%), MD(6.0%), MA(6.25%), MI(6.0%), MN*, MO*(7.175%), NE*(6.864%), NV(7.883%), NJ(6.625%), NC*(7.0%), ND*(7.5%), OH*(8.0%), OK(7.5%), PA*(6.098%), SC*(7.298%), SD*(5.82%), TN*(9.75%), TX*(8.25%), UT(7.0%), VT*(7.0%), VA(5.457%), WA*, WV*(6.23%), WI*(5.5%), WY(5.0%). Everythink OK! 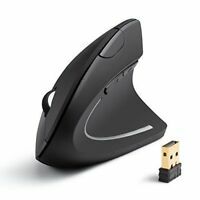 I bought this mouse for better work in CAD software and because my hands are really tired after whole day working on the pc and using the mouse. So now, I am really satisfied, but you cannot use only ergonomic mouse, you hav to mix it and sometimes use Anker and sometimes use the clasical mouse. Build quality is very good, soft materias, almost quite and if you want, you can buy wireless version.! I am supporing that mouse. Had 2 other cheaper ergonomic mice but both scroll wheels broke, but they got rid of my carpal tunnel ( i'm a computer graphics designer full time) so i figured i'd try the Anker. It works great. :) Next time i will get the wireless version. Only took a short time to adjust to the vertical mouse. My arm was hurting from over use on my previous mouse. 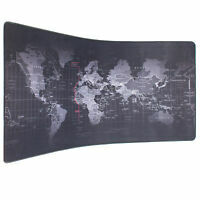 This vertical design really helps combat arm stress and fatigue. Only thing unsatisfactory is they don't come with different size for big/small hand, otherwise it is perfect!